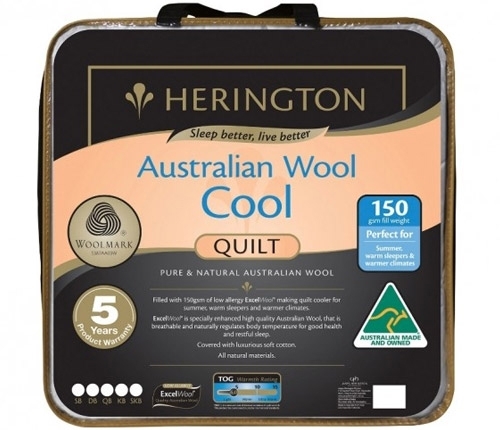 The Herington Australian Cool Wool Summer Quilt is ideal for the summer months or warm sleepers. It has the luxurious feel with a wool filling and a soft cotton cover. ExcelWool 150gsm Filling - Perfect for warmer climates. Why not get a new quilt cover to go with it? A beautiful lightweight woollen quilt. Perfect for in between seasons.